On Sunday we explored a story with surprise, beauty, and challenge. We explored a story of shepherds. We read in Luke 2 of how God announced to the shepherds, through his angels, about Jesus. And about how these unqualified, unsure, and untrained outcasts shared Jesus. You see the thing about shepherds in this context is that they weren’t very respected. 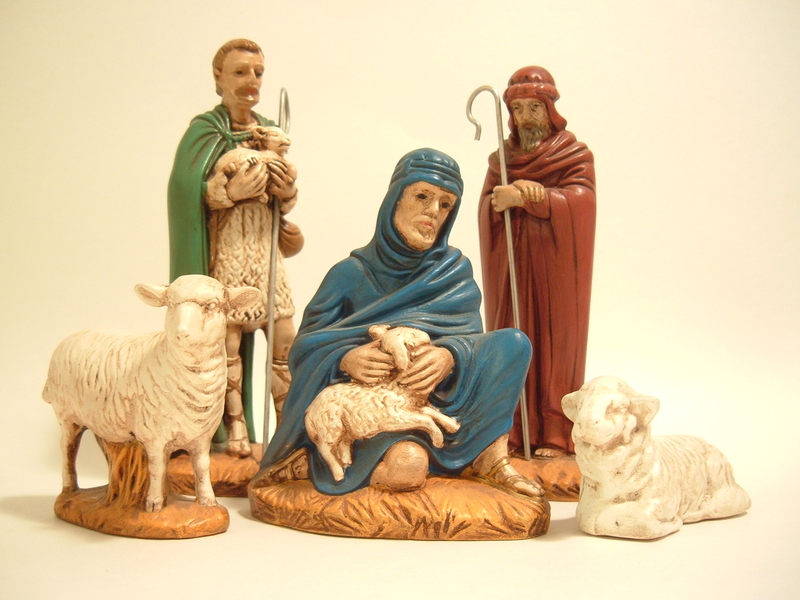 In fact, later on people would place shepherds in the same class as thieves and robbers. And in a court of law shepherds’ testimony didn’t count. Yet God here chooses these people who aren’t respected, often distrusted, and of not great repute to share his story. The shepherds in Luke 2 “tell everyone” in the town about Jesus (Luke 2:17). They don’t focus on the angels, they focus on Jesus and share him with anyone who would listen. The Bible says because of their witness, testimony, their personal story that people were astonished. That people pondered who Jesus was. People started to focus on Jesus because some regular people shared their personal stories of interaction with Jesus. So what does this mean for us? It’s simple: go and share your story too. You don’t need to be trained, you don’t need another Bible study on evangelism, you don’t need a specific “gifting” – to share your story about Jesus in your life. This passage in Luke shows us that what matters isn’t training (the shepherds had none), reputation (shepherds didn’t have that either), or even ability (I doubt they were very eloquent). What matters is a willingness to share your personal story of encounter with Jesus. And because they were willing they caused people’s focus to turn to Jesus. And isn’t this what we want in this season? Don’t we want people to be looking for Jesus? If we do, it starts with us. It starts with us being willing to share our stories. Jesus chooses the unqualified, and unimportant to share his story and his arrival. He also chooses us. Adult / Group Discussion Questions: What surprised you in the sermon? What was new? What was different? Do you feel qualified to share your story? Does being qualified matter to God? What has God done in your life that you can share? How have you found Jesus in your life? What has he changed? Who can you share that change with? Discussion Questions for Young Families: Spend time with your family and share with them your story of how you found Jesus and what change he has made in your life.